No listing for your dream home? No worries. Set the criteria for your home in DreamList and SRX Property will notify you when it comes on the market. No listing for your ideal investment? No worries. 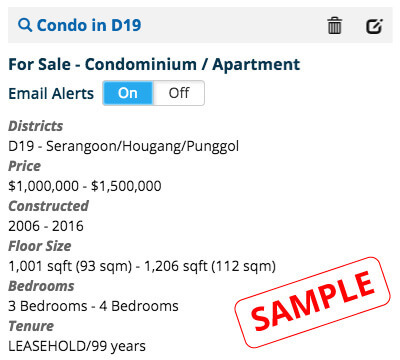 Set the criteria for up to ten investment properties in DreamList. How to add your dream home criteria to DreamList? After searching for your dream home, click on Save to DreamList button to save your search criteria into DreamList. While refining your search criteria, click on Save to DreamList button to save your search criteria into DreamList. Click on Add New DreamList button to set the criteria for your home into DreamList.